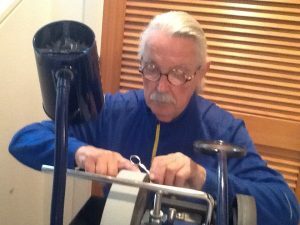 Thank you for choosing The Sharpening Doc for your needlepoint scissor restoration. You package and send me your scissors with a completed order form and a payment. I sharpen them within two business days and ship them back to you. Hope you enjoy how sharp your scissors are now. Print and clearly complete the order form. Wrap each pair of scissors separately and securely with bubble wrap or paper. Place wrapped scissors in a box or padded envelope along with your completed order form and check. Use additional packing to prevent movement if required. Mail via USPS Priority mail to the address below.